Keys Coffee Co. Breakfast Options - Keys Coffee Co. 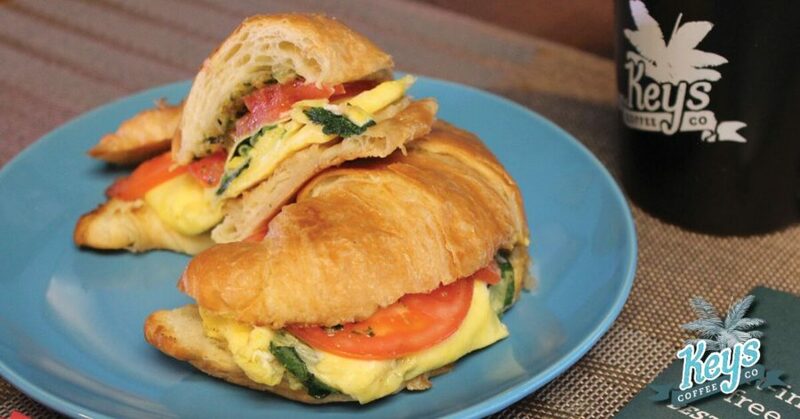 If you’re stumped on what to eat for breakfast this morning, you could try any of our delicious breakfast sandwiches. (Or maybe some of our breakfast tacos). Here are some delicious and healthy options. Tacos are delicious, that’s not up for debate, but have you ever heard of breakfast tacos? We serve our delicious and revered Sunrise Tacos, made with two sunny-side up eggs, bacon, ham, pepper jack, tomatoes, red onions, arugula, cilantro, and sriracha on a flour tortilla. Combining a healthy and filling breakfast with tortillas—nothing seems more delicious. For all those people longing for Philadelphia (or at least the cream cheese) we brought the city to you with our Philly Sandwich. 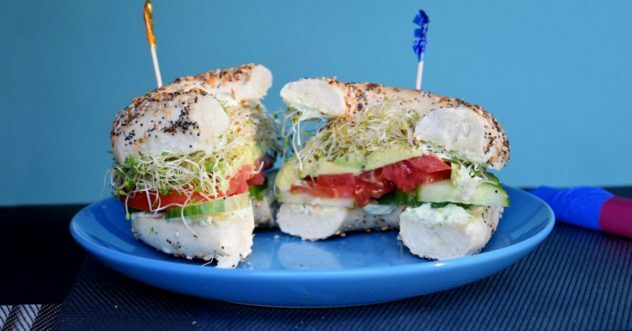 Tomatoes, cucumbers, avocados, sprouts, and scallion cream cheese on a toasted bagel, it’s light and healthy without sacrificing a satisfying flavor. But if you’re looking for the taste of the Bay Area, our San Fran Sandwich is the one you need. With honey-smoked turkey, red onions, tomatoes, avocados, egg whites, and Swiss cheese on a whole wheat wrap, it’s a pretty sizable (but healthy) meal. No matter which breakfast sandwich you choose, breakfast is always better with a cup of our delicious, house-brewed coffee, imported from all over the world. 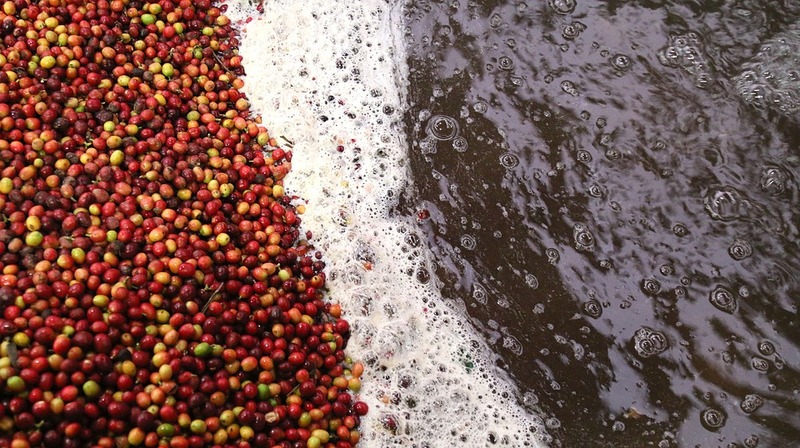 Café au laits pair nicely with breakfasts, but really, any cup of our coffee would be perfect. You decide next time you stop in which cup of coffee you would like with your breakfast sandwich and we guarantee you’ll have a better morning after eating with us.